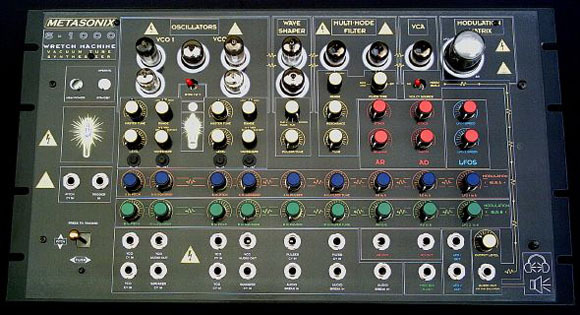 Last month, we looked at an upcoming all-tube synth from the twisted minds at Metasonix, as shown at a tube expo. We heard 2006 for launch at US$2500 or thereabouts. Also in the directory, there are several other demos of more extended tweaking, just single patterns, or pattern chains, from a future retro mobius with live knob tweaking. And there are some other demos of just the filter section, as it is the same circuit being used in the TM-6. 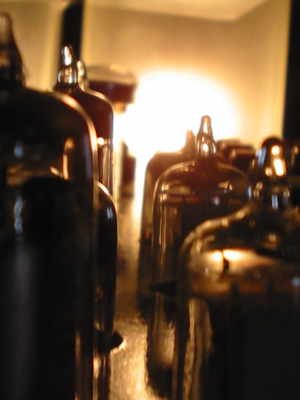 And, of course – mandatory synth pron – some nice close-up, arty photos of tubes! The demo certainly delivers on low-fi strangeness. Now I just want to try one out in person — maybe at the upcoming tube expo across the river in New Jersey this spring? I’m guessing this is one better tasted live.